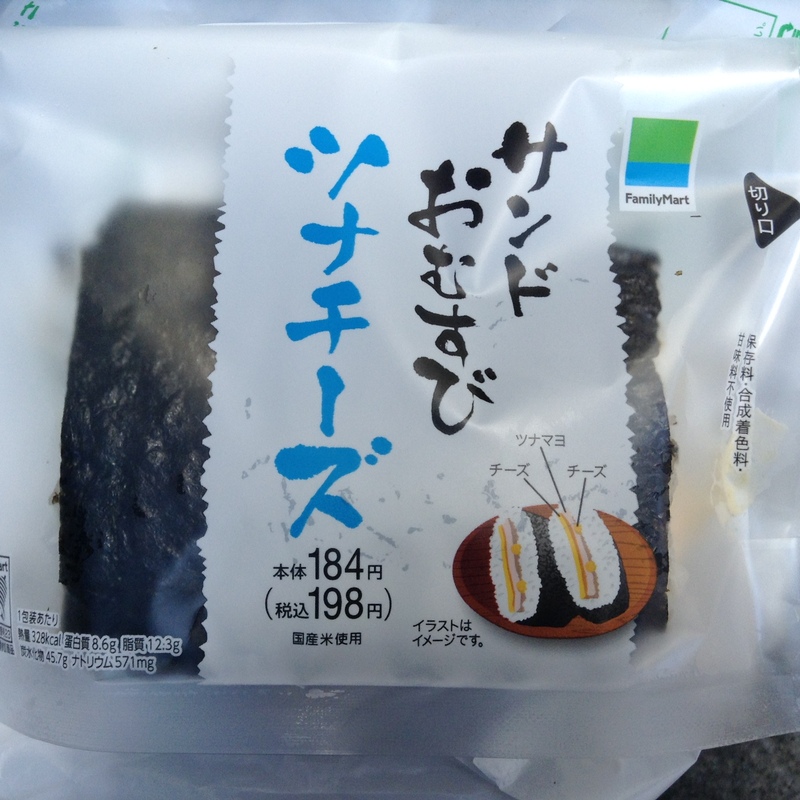 My last monthly Japanese breakfast column for The Japan Times was on onigiri. The highlight of my research was this lovely gem, Sendagi Risaku. All of the other shops were part of a chain, but this was an independent shop that, for me, is worth having on your radar when you visit the Yanaka area. 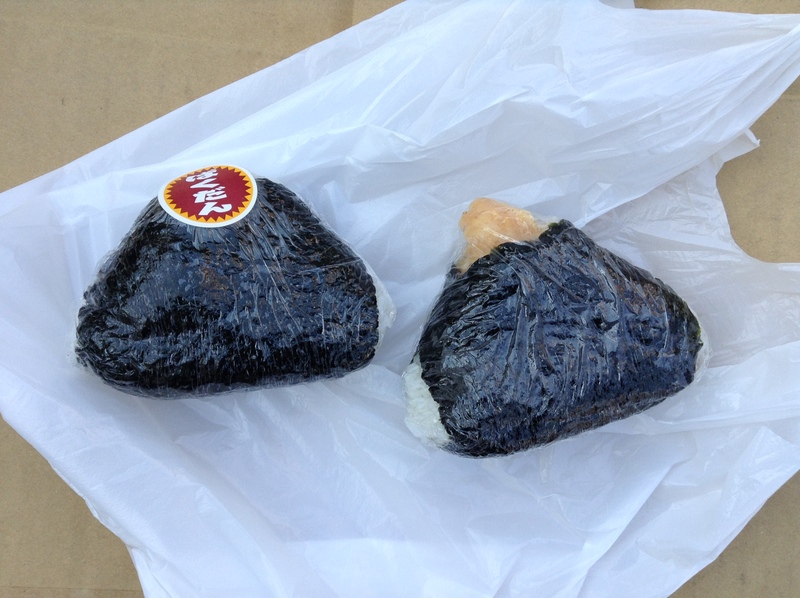 Onigiri or omusubi is the quintessential comfort food in Japan. A ball of rice that is stuffed with savory fillings. I grew up eating this and it makes for the perfect quick bite. 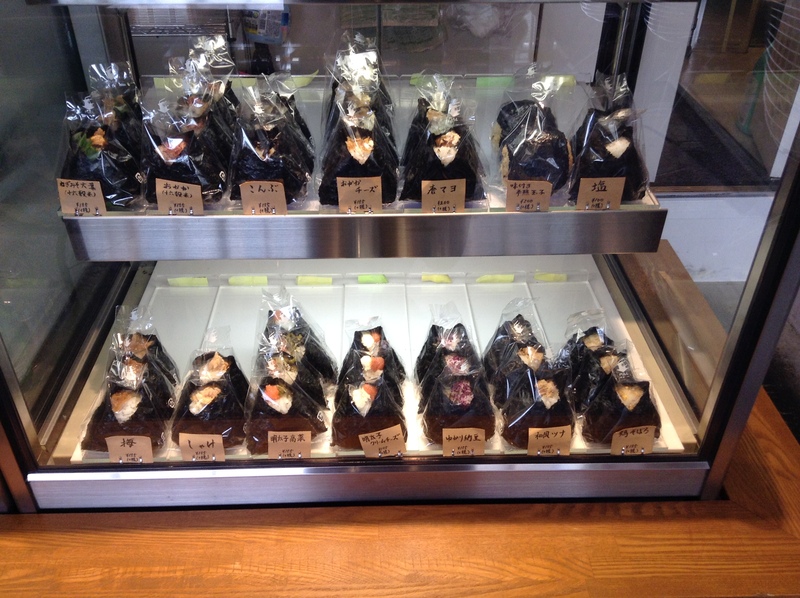 Onigiri-ya Murotoyo is a famous shop in Tsukiji Market known for its handmade onigiri. A television show recently featured this shop and my curiosity was piqued. 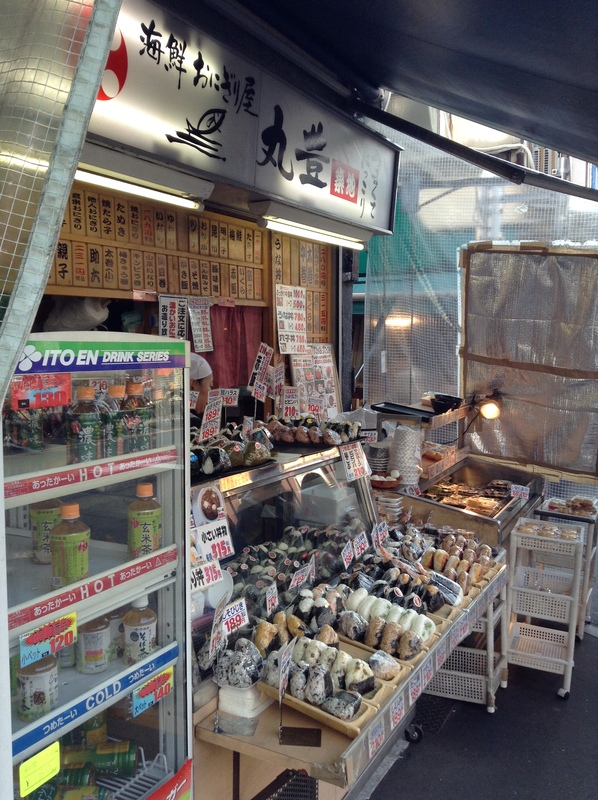 Marutoyo is just a few shops down from our favorite knife shop, Tsukiji Masamoto. 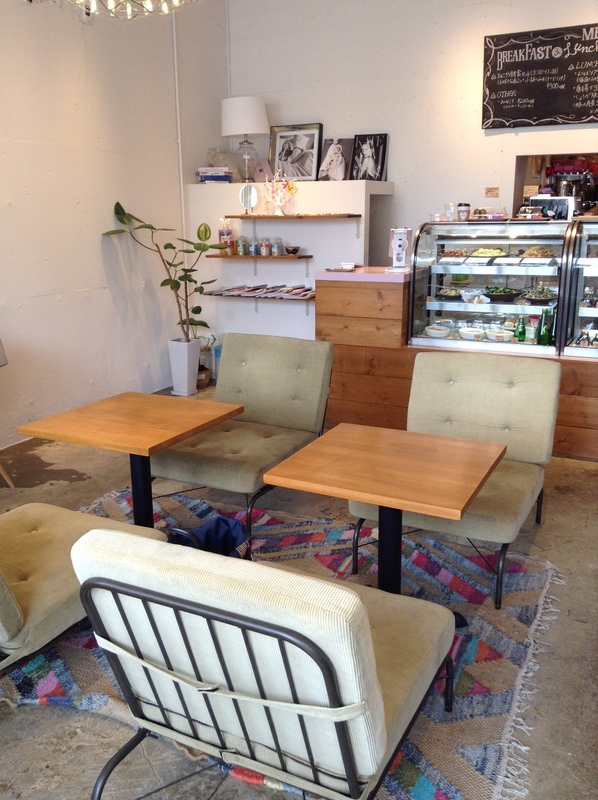 There is a small seating area around the corner to the right of the shop. A tiny table and a few chairs where you can rest your feet. Marutoyo also servse miso soup and small side dishes if you want to round out the meal. 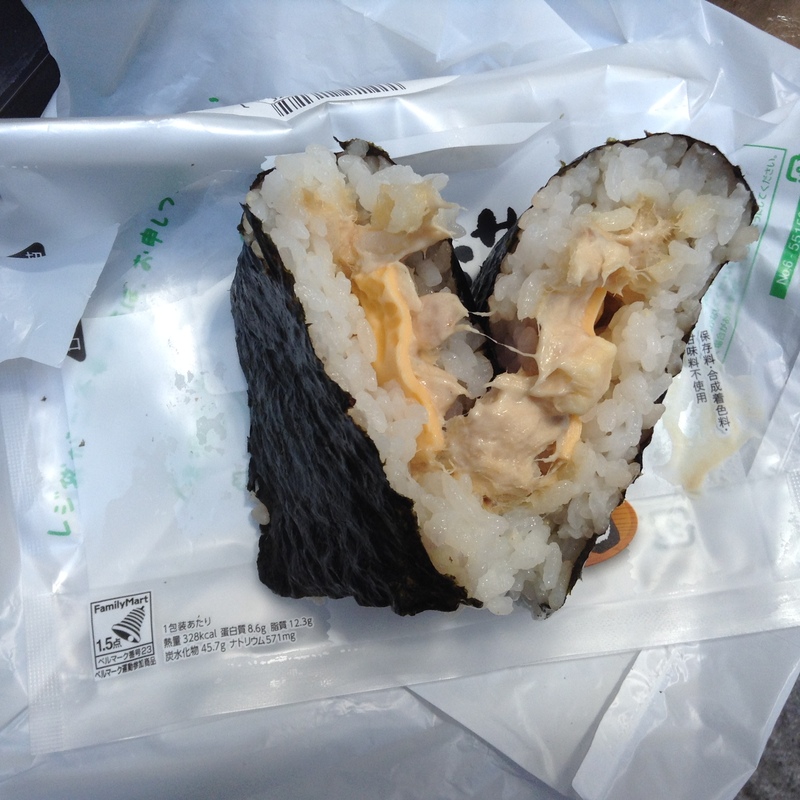 There are also sushi rolls and chirashi-zushi, but it is the onigiri that makes this shop famous. I went with the bakudan which is stuffed with a soft-boiled egg and a seasonal one of tempura of bamboo shoots. 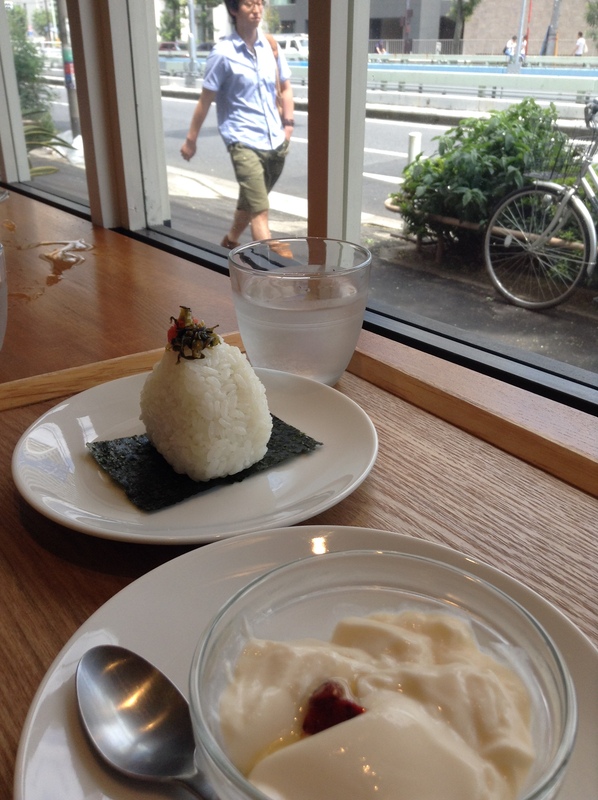 The rice balls are a bit on the pricey side, about twice what you pay for at the convenience stores, and worth the mark-up. My only gripe is that it was under seasoned. 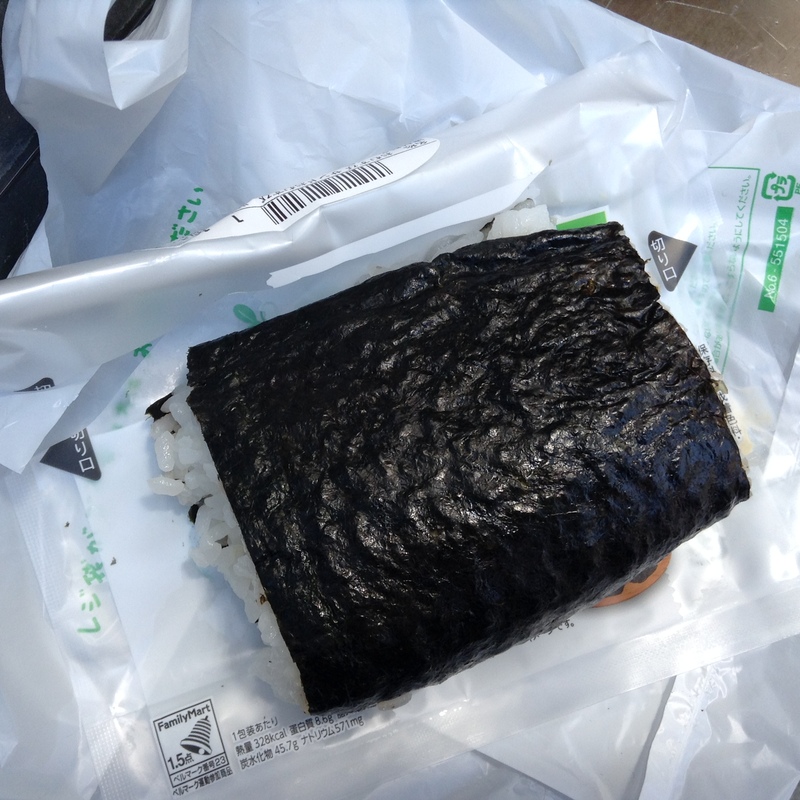 I would have liked a bit more salt on the outside of the omusubi. I will be back, and next time I will order an item that is naturally salty, like ikura or pickled greens like takana or the classic umeboshi. The shop opens early in the morning, around 3 a.m. according to one website, and is open until about 2 p.m.